Rikki & Mikki game download. Free download Bomber-man game remake. 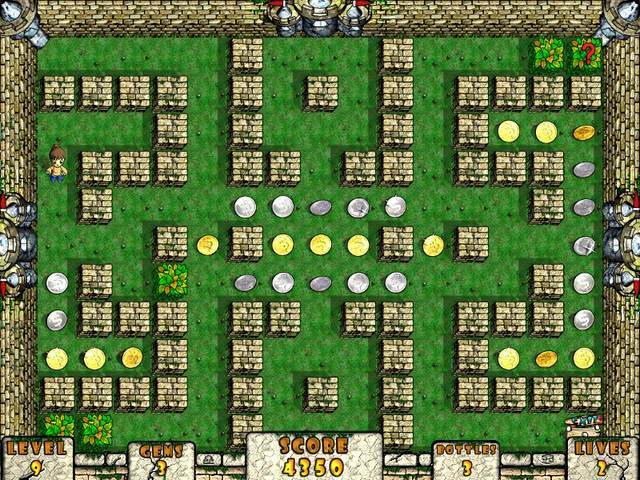 Bomberman download. 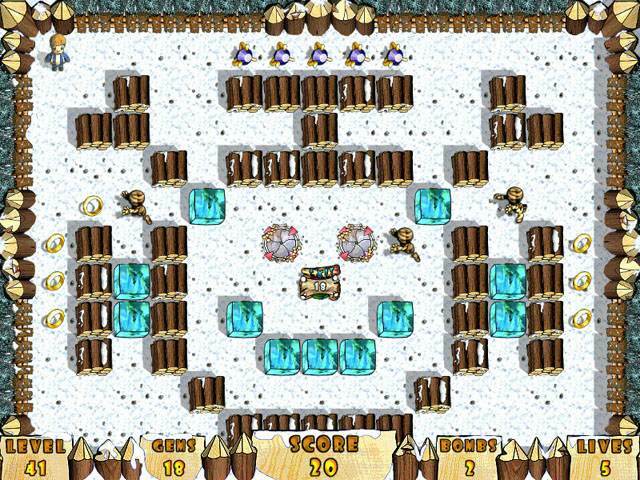 Mikki & Rikki is a exciting remake of the well-known classic arcade game - Bomberman. Play a single-player arcade quest to rescue your grandfather from the clutches of a dark phantom. Along the way, you'll collect gold, solve puzzles and wipe out an assortment of enemies ranging from mummies to evil water blobs. We'd tell you about the boss battles, but we don't want to ruin the surprise! After choosing from one of two heroes, your next task will be selecting one of three maze-like worlds to conquer. As you travel, you'll eventually gain the ability to lay several explosives and even use special items like the Remote Control Detonator. From the lush gardens at the beginning of your journey to the icy wonders of the final realm, there's always something new around the corner. Embark on a maze-trotting arcade adventure to save your grandfather from the clutches of a dark phantom. Great animation and vibrant game worlds set the stage for 60 levels of breezy fun! Free download Rikki & Mikki today and begin enjoying new arcade classic! 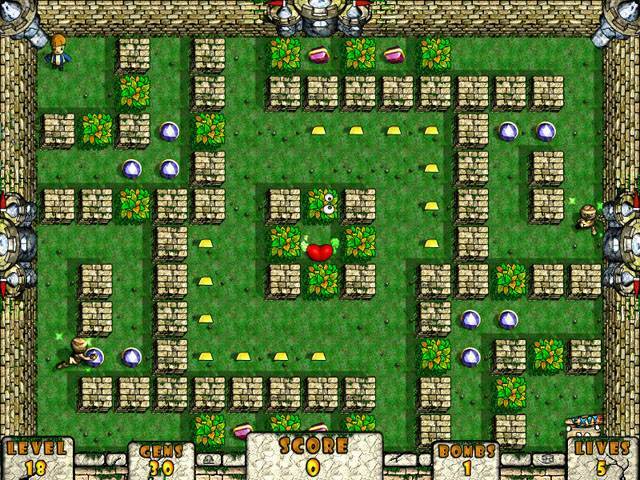 The goal of original Bomberman game is to complete the levels by strategically placing bombs in order to kill enemies and destroy obstacles. Exploding bombs can set off other bombs, kill or injure enemies and destroy obstacles. However, they can also kill or injure the player character, destroy powerups. For people how want to play game more similar to classic Bomberman or Dynablaster games, we recommend to play Little Bombers game. We have no player reviews for Rikki and Mikki: To The Rescue yet.